When my daughter turned 5, she was a handful. She is a very spirited girl, and sometimes had a hard time controlling her emotions and outbursts. She has so much enthusiasm, that she often would get in trouble at school for not listening and following the rules. In first grade, we enrolled her in Tae Kwon Doe, and she really changed as a little person. She not only learned discipline and control, but we saw her self-confidence and self-awareness blossom. 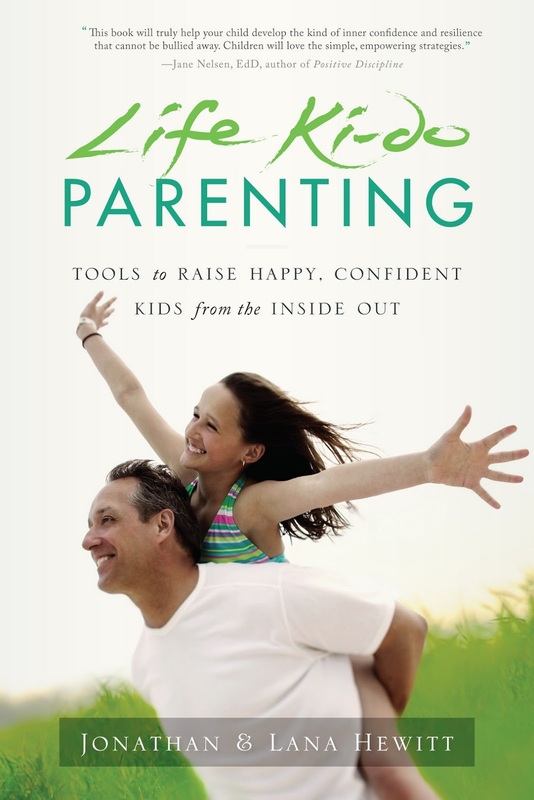 My husband and I have often told other parents the benefits of Tae Kwon Doe, and that is why I was thrilled to review the book, "Life Ki Do Parenting: Tools to Raise Happy, Confident Kids from the Inside Out." If you (like me) want to raise children who are good, not because of rewards or consequences, but because it is the right thing to do, then this book can help you on that path. The book is all about making your children feel good about themselves and their actions. Not only do they give great advice, but they also provide "Tools" on your path to being a better parent. As a parent of a martial artist, I appreciated this book more than I can say. It brought home the lessons my daughter (and soon my son as well) have learned in Tae Kwon Doe, and help us to be a more centered and confident family. The book not only will help your children be strong, resilient and proud . . . but it will help you as a mom too! MamaBreak received a copy of the book "Life Ki-Do Parenting" to review here on MamaBreak. We did not receive any other type of compensation. As always, our experiences and opinions are our own. Wow.. I have a little one that could use a little direction.. Maybe this is a book I need to pick up! This sounds like a great book. Kids do not come with directions so sometimes we need something to help. Thanks for posting this. The book sounds really helpful. I love positive parenting. This sounds like a great book, I am just starting over with a little one and could use some refreshers! I would love to have this book! Anything to help me raise a wonderful child would be a godsend. This sounds like a book we need to help with our son! We have a lot of problems due to the way his real mother raised him in his early years, and discipline and self control are two things he has a very hard time with! Thank you for sharing this!